“Joan Ruddock voted against!” Was the assertive reply. “No she didn’t, she abstained” I replied. “No she was against, we checked!” They said nodding as one. And so I went home and checked Joan Ruddock’s voting record online, and what do I find? Only confirmation of what I already knew, that the historical fact is that at the crucial vote for or against military action she was…absent! And so I ran back, and told them, and guess what they said to me? Hither Green Cinema returns this Sunday with the first of a series of fortnightly cinematic appointments celebrating the very reason Hither Green exists as we know it: the railway. And being Valentine’s day it’s all about railways and love. The 1945 classic adaptation of Noel Coward’s play is a timeless story and just as involving as when it was filmed. 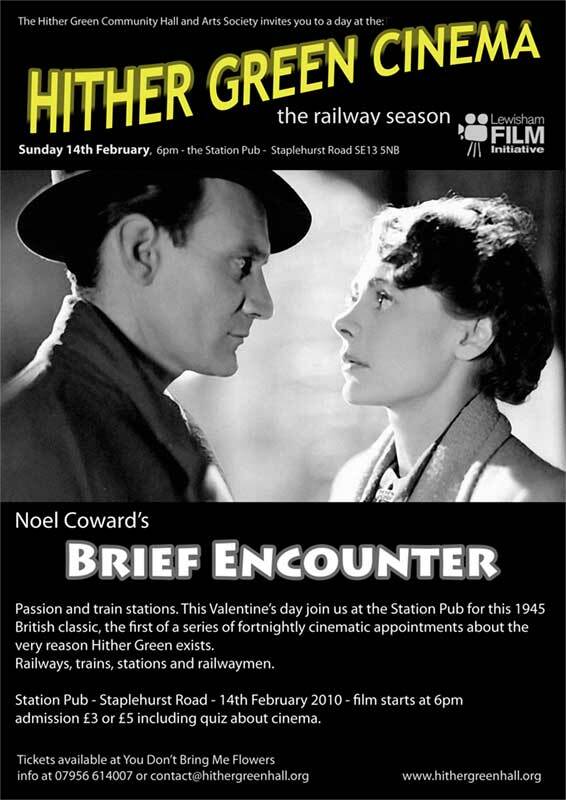 The film is followed by a themed pub quiz about films and a public vote to decide the next film aon the series’ calendar and everyone’s welcome to propose their favourite railway themed film. Entrance is £3, participation to the quiz is £2. Another initiative of the Hither Green Community Hall and Arts Society. Book your seat by emailing contact@hithergreenhall.org. Combating recession or fighting elections? Correct me if I’m wrong, but isn’t it the case that the reason given for Labour’s decision to spend £200k on a temporary landscaping doesn’t make any sense? 2.1.6 An allocation of £200k for temporary landscaping in Lewisham Town Centre to ensure that residents continue to visit the town and that demand for services and retail is maintained during the forthcoming programme of redevelopment. There are two reasons why this doesn’t make any sense. Reason one: if said programme of redevelopment was actually happening, the whole of the roundabout area would be dug up mercilessly for years and that little patch would be the first one on the list as that is where the centre piece of the new road layout to replace the roundabout would pass by. Only after that’s sorted the rest of the development can take place. In the light of this consideration this measure would not do anything to improve the area “during the forthcoming programme of redevelopment”. a 17 per cent increase in customer spending compared with the same month last year, and a 13 per cent increase in customer footfall. Which raises the question as to why Lewisham Council feels the urge to spend £200k to make that corner look attractive in order to sustain business at the town centre. It is hardly the case that Lewisham Council has £200k to spare. So, whilst £152k goes to combat the effect of the recession across all high streets and shopping areas of Lewisham (and £52k doesn’t even come from Lewisham Council budget), a substantially bigger sum will be spent on this item alone, the landscaping of a demolition site. To combat recession! Doh! And what about the demolition money? We’re told that it’s the London Development Agency (LDA) that is carrying out these works, but what they forgot to tell us is that it’s Lewisham that’s paying, in fact the LDA has been holding for years about £9m that it received from Lewisham Council for works to regenerate Lewisham Centre, those money were originally part of the £15.9m Single Regeneration Budget allocated to Lewisham by the Government to redevelop the town centre and that in large part are still there unspent. The LDA never felt any urge to demolish buildings unless redevelopment works are imminent (as the plan for an expensive “temporary” landscaping shows this is not the case here) so they’re obviously doing this at Lewisham Council’s request. Could it be that the reason this has been decided is because elections are coming and works on site would induce people to believe that finally there is progress on the development? What a coincidence that this is happening just as an election looms. Are these money being taken away from more useful measures to combat the recession in order to cover up a massive failure of Labour Lewisham that would no doubt damage Labour at the ballot? Posted in locals | Comments Off on Combating recession or fighting elections? Lewisham Council has exchanged contracts in a deal that moves the renewal of Catford town centre a major step forward. The deal will see the ownership of freehold and leasehold interests in and around the Catford Centre transfer from current owners, St Modwen Investments, to a wholly owned company set up by the Council to be called Catford Regeneration Partnership Limited (CRPL). It is clear that what the Council wants to do is increase density, that’s what’s stated in the Council’s plan for the area, the shopping centre is a one storey building and this is for planners a huge opportunity. And since Catford is already an urban environment and we must build houses somewhere there’s not much that’s wrong with that, but of course the devil’s in the details. Catford may not be upmarket, but it’s very lively, all the retail units are let out and working and the place is bustling with activity every day of the week. I believe that this is a richness that must not be squandered. That area is the heart of Catford and as we know some open heart surgery procedures are a complete success but for the detail that the patient dies. Do they want to retain Milford Towers? Do they want to scrap it and redo the lot? If so where and how will the residents be decanted? Do they have alternative sites for the shops that today utilize the units at Catford centre? The market? The continued vitality of Catford must be the centre point of any plan. Lewisham Centre is a flashing warning about what can happen when Lewisham Council wants to develop big projects and gets something crucial wrong. Last week’s announcement that what was until recently a functioning shopping parade will be demolished to make way for a little garden is exactly the kind of risk that Catford starts to run with today’s announcement. That demolition follows neglect, the neglect was caused by a false sense of security that a development would have taken place shortly. And now for quite a while there won’t be a new redeveloped centre and there won’t be the old parade of shops either. Only a “temporary” landscaping. A small fig leaf on a gigantic failure. Let’s not move on from one failure to the next one. The plan for Catford must be desirable and realistic, and it must not unnecessarily deteriorate the environment way ahead of the new development taking place. And transparency is the key to success. As a guarantee that those involved don’t start believing in their own spin, with all the results (or non-results) that we’re now seeing at Lewisham Centre. 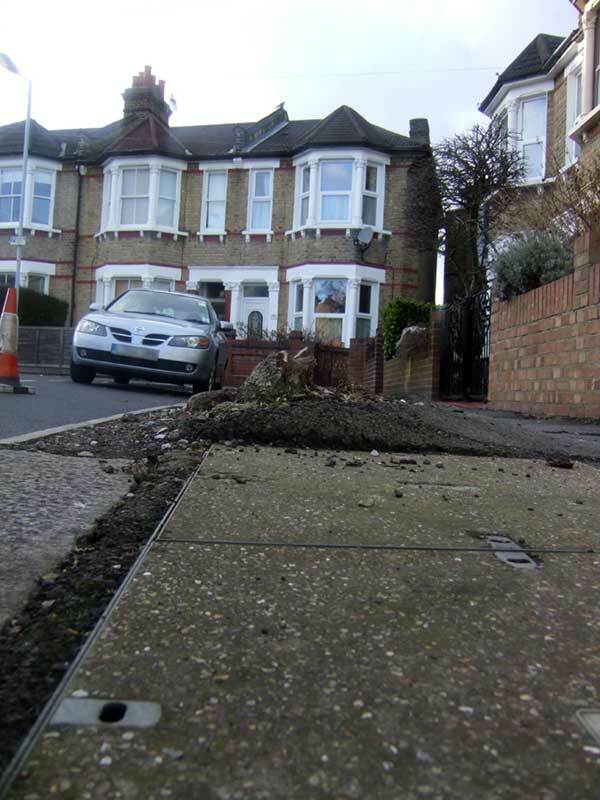 Catford is highly improvable and the Council does well to pursue a change. But it doesn’t all start and end at the shopping centre and Milford Towers, let’s not forget of other even worse parts of Catford. The Plassy Road retail island is one of the worst places to be in-the-world. It’s bad planning on steroids. Is not even an urban environment, it would only make sense on a motorway, and an energetic effort should be made to transform it. I hope that the Council is speaking with all occupiers so that it can be redeveloped. Personally I think that that should be as much a priority as the shopping centre site. Another big site in Catford is of course the Dogtrack. I opposed the currently planned development as too dense for a cul-de-sac that gives on a nearly constantly gridlocked road. But the objection was not upheld and planning consent was given in October 2008. Now the crisis has put a halt to it, but for how long that? I’d much rather see it used for something else, whether employment, education or wonderful almshouses overlooking Ladywell Fields. How appropriate that use would be for that site? We don’t build sheltered accommodations anymore! We’ll regret that when it’s out time to hit the scrapheap. But in Catford there is also a trail of neglect that is completely down to TfL that holds up the area by keeping its options open for a re-routing of the South Circular that’s been talked about for years but never implemented, and that’s possibly the largest stumbling block for Catford. Catford is an important centre and it’s clearly lost its ways. For the shopping centre there’s now a single ownership and that’s a good thing, for the rest there are many heads to knock together and a big job ahead. Lewisham Mayor Sir Steve Bullock said: “The main reason for the extra demand is the housing market. Pathetic isn’t it? He knew that there was a shortage coming, I knew there was a shortage coming coming for sure, everyone knew there was a shortage coming. 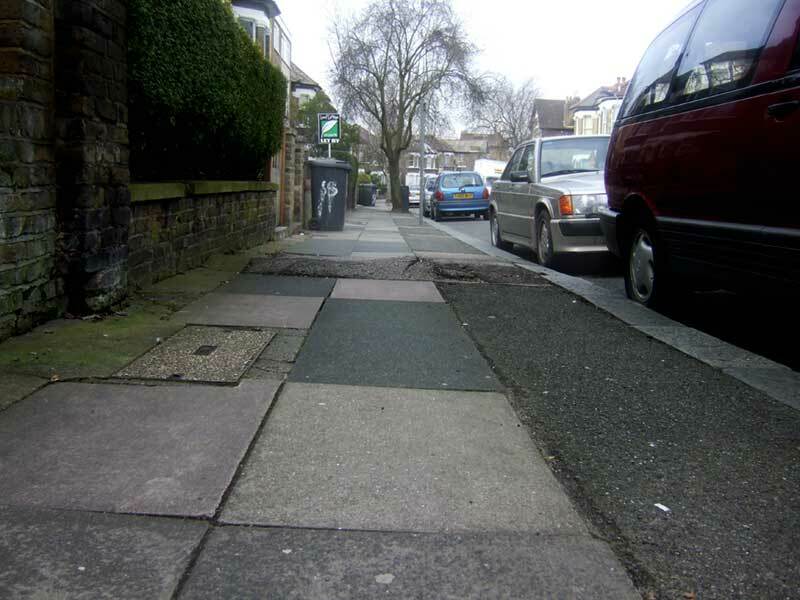 That warning gave the opportunity to plan ahead, the Council didn’t take the opportunity. In the light of the projections in primary school needs the Council should have reviewed its plans at least a year ago but they left it to last minute and the consequences will be paid by the children and their families starting with the beginning of the next school year. If there is a thing that’s worse than a lack of secondary school places is a lack of primary school places, and when the data about this shortage emerged the decision to close Lewisham Bridge Primary to demolish it and re-open as an all through primary and secondary combined to include a reduced primary provision on site should have been reviewed. What we’re now facing are overcrowded primaries and possibly parents being forced into long term stress to bring their children to school somewhere away from where they live or work. Another issue is that when the decision to use Lewisham Bridge Primary as the site for the new secondary was taken part of the motivation was that the number of children attending it was dwindling and it would have been sized down anyway. At the time I attended the meeting of the decision and it was reported to the Mayor that the Head of the school had indeed asked for a reduction in size of the school. Now we have new projections for needs of places at primary schools and the forecast is that we’ll need many more primary places than available so if the plan goes ahead then the Council will have to start thinking about a new Primary too, that means spending for building two schools instead of one. Lewisham Labour decided that ahead of elections this historic parade must be demolished because it will 'make a difference' and also 'create a good impression'. 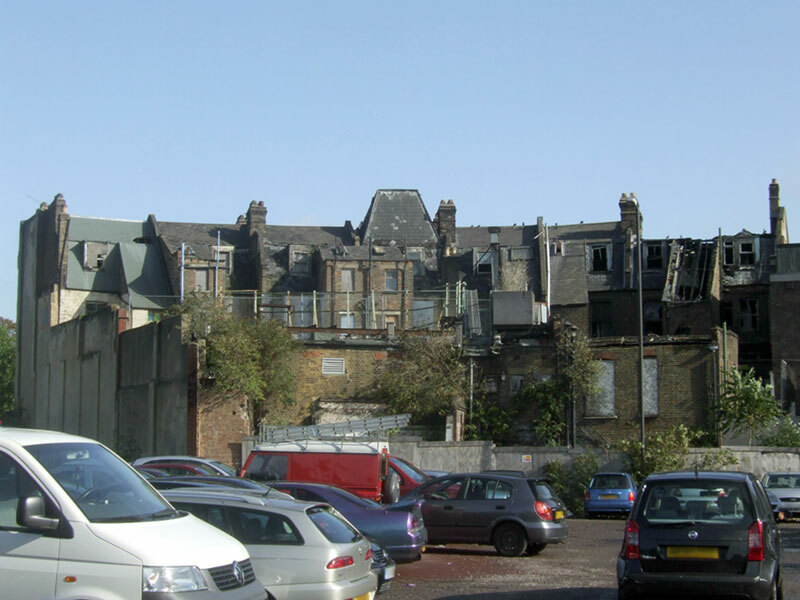 Mayor Bullock decided that the once fine Victorian row of shops that now stands in front of Lewisham Police Station will be demolished and the site will be “landscaped”. Drunks and those waiting to sign on the offenders’ register (another town centre feature we must thank Lewisham Labour for) will have a nicer place to hang about. I must confess that I have a soft spot for that parade, I always thought that although unassuming and unremarkable it still is positively handsome and provides much of what ‘sense of place’ exists around Lewisham Centre. Looking at it one immediately understands something about Lewisham’s past, in fact as this period photo shows it was an element of the original market square. But now where once were shops and prosperity only a boarded up ghost of a better past stands, and despite the fact that the Council’s plans for regeneration of the town centre may fail to materialize for who knows how long, the Mayor’s decided that he’s seen enough of it and it must go, now, or better, in the next few months, which incidentally coincides with next elections. Activity, activity! “Whilst the big redevelopment of the town centre is taking longer than expected due to the economic climate, it’s important that in the interim we create a good impression in Lewisham. Taking longer than expected due to the economic climate? The Lewisham Gateway development received outline planning consent in April 2006! With a buoyant housing market and a planning consent in the pocket works should have started soon after. 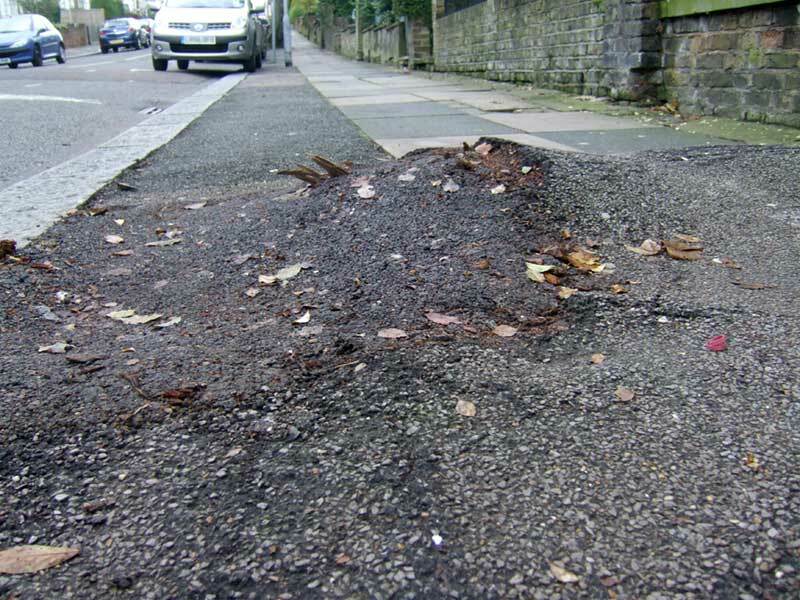 If nothing’s happened since the fault is entirely of Mayor Bullock and his unquestioning Lewisham Labour group. The housing crisis only arrived 2 years after planning consent was given. Labour promise of £200m of private investment to redevelop the area has been replaced by a £200k bill for the tax payer to demolish what was once a fine row of shops. Elections are coming and Lewisham Labour have nothing to show for the years of announcements and the millions of public money spent on the fabled Lewisham Gateway project. That parade is a corpse and must be removed from the scene. This sounds like excellent news for parents of young children in the area, it’s in Manor Lane, Lee, just outside the borders of Greater Hither Green and at a very reasonable distance from much of Lewisham Central. Rhubarb and Custard will open its doors at the end of the month and, as well as the usual coffee and tea, there will be pottery classes and chocolate-making for the kids while their folks relax over a brew. The cafe is the brainchild of Louisa Gillespie, 37, Marion Cattanach, 40, and Lucy Hunter, 39, who met outside the school gates picking up and dropping off their children from St Winifred’s Nursery and Infant School and Junior School. The trio then met Anna Ferla, 41, over coffee in Blackheath, and the four women, from Lee, together cooked up the idea of Rhubarb and Custard in Manor Lane, Lee. I here declare a personal interest as my daughter has just turned 4 and therefore pottery and chocolate making sound very interesting indeed. The Cafe opens this Friday. P.S. : I wonder if the name of the cafe has anything to do with the animated series Rhubarb and Custard. The author, the great Bob Godfrey lives in fact not far away in Blackheath. 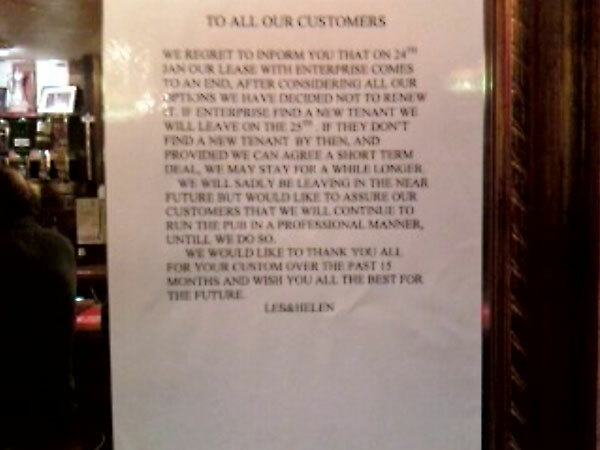 A sad news and a great chance for anyone wanting to take on Lewisham’s best pub and keep it going “just as it is” please. We regret to inform you that on 24th Jan our lease with Enterprise comes to an end and after considering all our option we have decided not to renew it. If Enterprise find a new tenant we will leave on the 25th. If they don’t find a new tenant by then, and provided we can agree a short term deal, we may stay for a while longer. We will sadly be living in the near future but would like to assure our customers that we will continue to run the pub in a professional manner, until we do so. We would like to thank you all for your custom over the past 15 months and wish you all the best for the future. And so this coming Monday there will be what could be the last folk jam sessions at the Jolly Farmers. Good things never seem to last for long. I was there two days ago and again it was fab, just as the last time I was there there were Flakey Jake and Jim Radford that were joined by a surprising number of other folk musicians. There’s a rare atmosphere there right now and this coming Monday there’s a chance to savour it that may not repeat for a while, although I really hope in a smooth transition towards a new management as nice as this one. All readers of this blog are warmly invited to join me there this coming Monday.